Boil peas in water for 5-7 minutes until they are soft and a bit mushy. Drain water and keep aside. I use frozen peas so I just microwave in water for 1 minute. Mix all the dry spices with the wheat flour completely. Add the boiled peas to the flour and knead the flour adding very little water at a time. 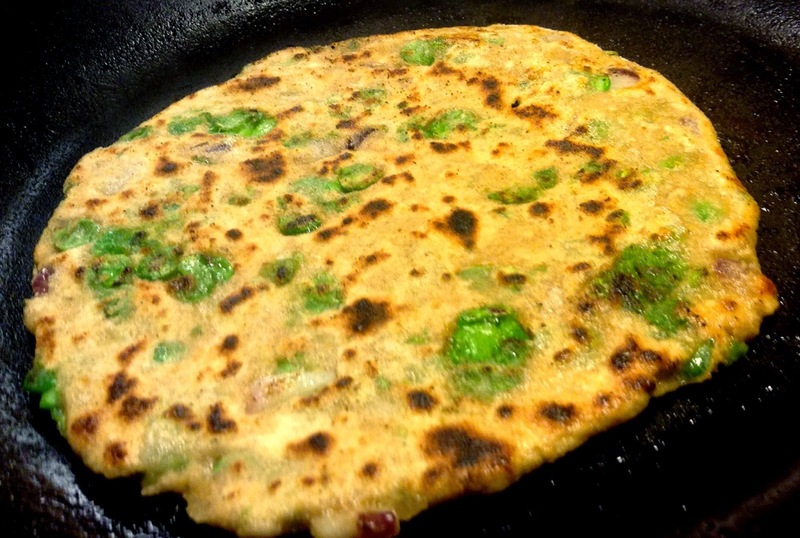 Remember that the flour must not be sticky otherwise parathas cannot be made from the flour. Now fry both sides with butter and take out on a plate. Add a dollop of butter and serve hot with any pickle/raita. 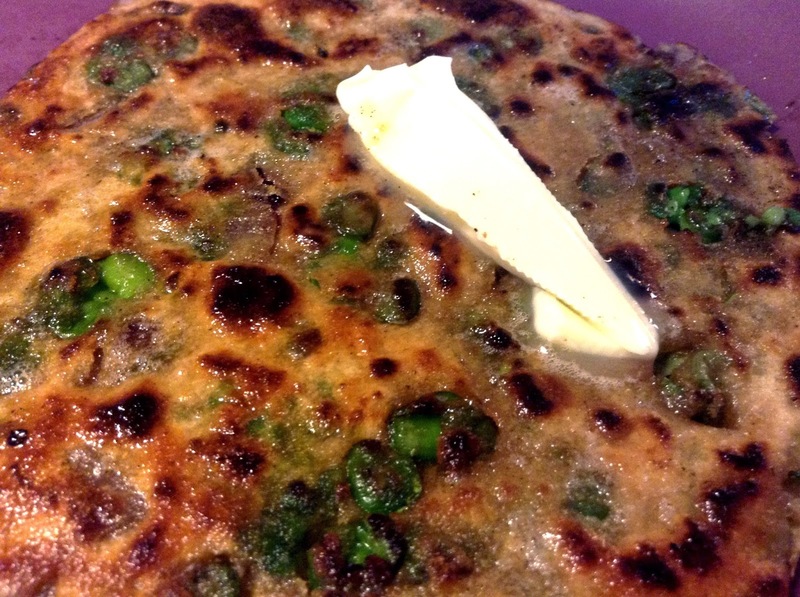 I served it with Mint Onion Raita.